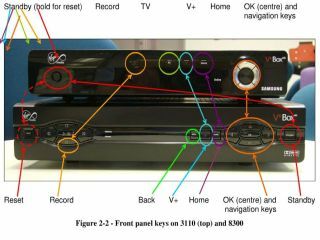 A slideshow about the new box including comparison photos with the old V+ box and part of the specification has been published – presumably by an internal source at Virgin Media. Although it has not been officially announced, it is the fact that the box will be MPEG4 that gives a true glimpse of the future for Virgin Media. A Virgin Media spokesman was aware of the leak, telling TechRadar: "We're always looking at ways to improve our products and service. "However, details of any new hardware have not been confirmed." Currently the MPEG2 encoding used is horribly inefficient, limiting the amount of channels that Virgin Media can have due to the amount of bandwidth being used. MPEG4 is a much more efficient system and could feasibly allow more channels – although the way in which a new system would be rolled out remains to be seen. MPEG4 boxes would be able to cope with MPEG2 broadcasts, but not vice versa, meaning that to move onto a full MPEG4 system Virgin would probably need to replace all of its boxes. Of course the relatively small numbers of the V+ boxes could feasibly suggest that only the HD enabled boxes are replaced; and that only HD channels would be broadcast in MPEG4, something which would not affect those users with SD boxes. Indeed, any move onto MPEG4 across the entire network would appear to be a much longer-term project. Although Virgin Media is promising three more HD channels in the coming months, this is not tied in with any hardware change with bandwidth available for the high-capacity channels.